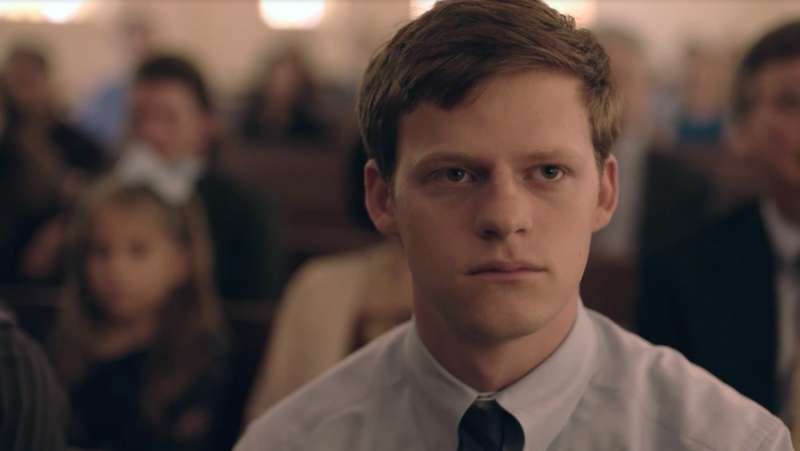 A social drama, Boy Erased exposes the insidious horrors of conversion therapy hiding behind archaic religious dogma. In the suburban American heartland, teenager Jarred Eamons (Lucas Hedges) is the son of Baptist preacher Marshall (Russell Crowe) and his wife Nancy (Nicole Kidman). Jarred is awakening to his sexuality and is no longer aroused by his long-time girlfriend Chloe (Madelyn Cline). He finally admits to his parents he is gay. The shocked Marshall turns to church elders for advice, and with Jarred's acquiescence he is admitted to a conversion therapy centre run by Victor Sykes (Joel Edgerton). The group sessions consist of shaming, labelling family members as sinners and generating anger at parents. Jarred is unconvinced by the pressure tactics and starts resenting the sessions, while recalling his first gay sexual experiences with college student Henry (Joe Alwyn) and art aficionado Xavier (Théodore Pellerin). Based on the true story of Garrard Conley as documented in his book, Boy Erased lifts the cover on the bogus practice of trying to "heal" homosexuals, a pseudoscience not backed by any evidence. Directed by Edgerton, the film is quietly enraging as it explores the vulnerability of teenagers not conforming to societal expectations, and unwilling to rupture bonds with parents. Jarred's journey provides a sturdy and disquieting punch, as he makes progress towards self-empowerment and breaking away from the thick blanket of darkness imposed by misguided deception.While Sykes and his attendants may stay just on the right side of avoiding outright physical violence, the psychological trauma inflicted on the patients is disturbing in the extreme, designed to undermine self esteem, damage trust in families and surrender to controlling doctrinal fallacies. At just five minutes under two hours the film is longer than it needs to be, and the majority of the patients going through the therapy with Jarred don't graduate past superficial introductions. But Lucas Hedges maintains a steady presence to pull the story through some of its repetitive scenes. His performance avoids theatrics and finds the fine line between curious victim and courageous protagonist. 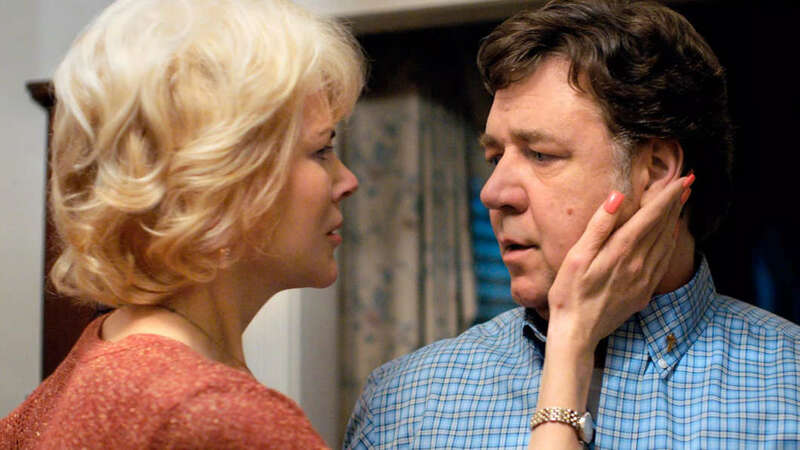 Boy Erased is helped immeasurably by characterizing Nancy and Marshall in human terms, as parents who genuinely care but who only know what they have been programmed to know. As Jarred starts to define himself and assert his identity, he forces his family to shift, possibly pointing towards a path of optimism. Nancy will need to confront her acquiescence, and Marshall will search for the common ground between his devout religious beliefs and fatherhood. Nicole Kidman and Russell Crowe each get scenes to shine, and contribute to the film's impact. Boy Erased is what happens when ignorance and fear provide fuel for charlatans to dispense travesties that have no place in modern society.